New! Symposia Online Firstorder this volume of the Symposia volume and receive online access in advance of the book's publication, as well as receiving the hardcopy. Books will be shipped when printed (scheduled for May, 2010). Online access includes the current volume and previous six years online. Online access for this volume ends May, 2011. Access detail will be sent to the email address provided within the "shipping information" part of the checkout form. Please be aware that access can take up to 2 business days from receipt of order. For assistance, please email Customer Service. Trim size: 7-3/4" x 10-3/4"
Symposium can be found here. 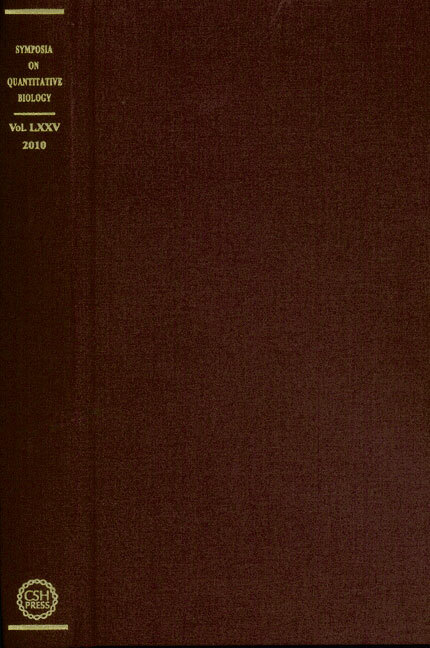 This volume is based on presentations by the world-renowned investigators who gathered at the 74th annual Cold Spring Harbor Symposium on Quantitative Biology to celebrate the 150th anniversary of the publication of Charles Darwins On the Origin of Species. It reviews the latest advances in research into evolution, focusing on the molecular bases for evolutionary change. The topics covered include the appearance of the first genetic material, the origins of cellular life, evolution and development, selection and adaptation, and genome evolution. Human origins, cognition, and cultural evolution are also covered, along with social interactions. The line-up of speakers comprised a stellar list of preeminent scientists and thinkers such as the zoologist and prolific author E. O. Wilson (Harvard University); Jack W. Szostak (Harvard Medical School), a 2009 Nobel Prize winner who studies the chemistry of life's origins; and Nobel Prize winner and former president of HHMI Thomas Cech (Colorado Institute for Molecular Biotechnology), to name just a few. A complete summary of the meeting can be found here.